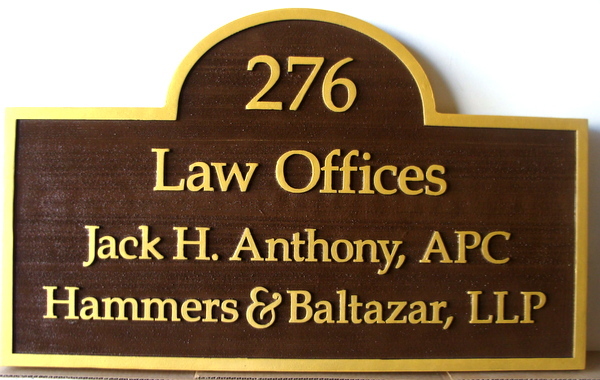 This sign projects quality and professionalism - dark brown and metallic gold colors are very effective here. Other good colors for this sign are dark green, navy blue or black with accents of white or gold. This sign has raised letters, and and the brown background is then sandblasted in a sandstone texture.